Simpson Plumbing: Quality work without getting soaked! Simpson Plumbing has been Vancouver’s trusted community plumber since 1981. Family owned and operated (now in our second generation! ), we’re licensed to serve both residential and commercial clients. Best of all, Simpson Plumbing will review your service needs for free. Before we tighten a single fitting, we’ll tell you how long the job will take and how much it will cost. 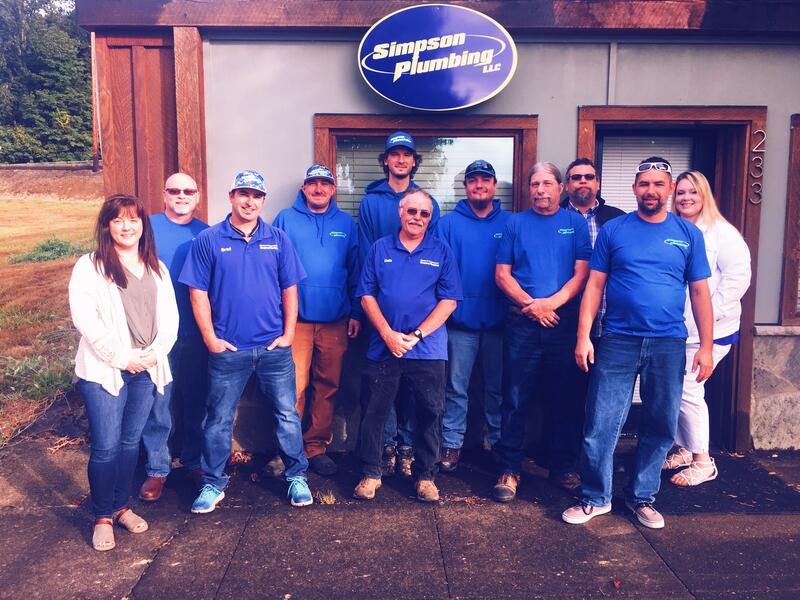 You’re more than just a customer to Simpson Plumbing — you’re our neighbor! We live here, too, and we want to be your plumber for life. You can trust us to take care of you. Simpson Plumbing replaced three aging toilets and one sink for our bathrooms. Dale, Brad, and their crew did an excellent job. One of the water tanks came with a factory defect and they remedied the situation in a professional and speedy manner. They respected our house by keeping the work area clean and tidy. Simpson Plumbing LLC. has very good prices. I like that they will bill me rather than having to pay right away. I am a landlord, so I may be away at work, but he will go take care of it all and then bill me. Other plumbing services won’t do that, and other prices do not compare.